Eighteen-year-old Jones died on Thursday after a Cleveland Police Department officer shot him at approximately 2.15am earlier that day. No weapons were recovered at the scene. Police were responding to reports of a break-in at Parkwood Grocery store when Jones walked out carrying a bag. Officers tried to arrest him and a struggle ensued, leading an officer to fire his gun, police said. On May 3, 2016, it was reported that the police had completed an internal investigation into the killing and turned the investigative file over to prosecutors. September 2016 A Cleveland police officer will face a negligent homicide charge in the shooting death of an unarmed man suspected of burglarizing an East Side grocery store. On October 19, 2016, the officer pleaded not guilty. June 2017 Cleveland cop lacked justification in fatal shooting of unarmed break-in suspect, prosecutors say. On December 28, the cit anounced that the offier had been fired: "After the pre-disciplinary hearing, Director of Public Safety Michael McGrath found that Patrol Officer Alan Buford did violate the Cleveland Division of Police Use of Force Policy by using force greater than what was necessary during the incident. Patrol Officer Alan Buford, who was hired by the Division of Police on August 19, 1996, is hereby terminated effective immediately." 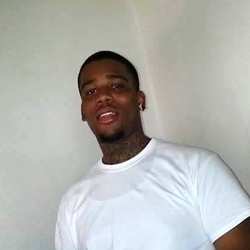 In February 2019, the City of Cleveland challenged an arbitrator's ruling in an attempt to reverse the reinstatement of officer Alan Buford, who fatally shot an unarmed Jones in 2015.